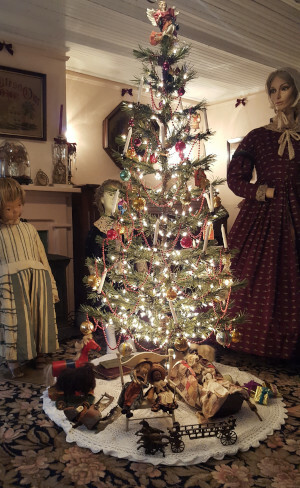 As part of the Union County “Four Centuries in a Weekend” event, join us in celebrating a Victorian Christmas. Learn why people decorate trees, sing carols, send cards, and exchange gifts. How and when did these activities become part of American culture? Many of these customs developed during the Victorian Age. • Enjoy carols played by Dave Bierman on an antique Victorian organ. Everyone’s invited on Saturday October 20th from 10am to 5pm and on Sunday October 21st from noon to 5pm at 1840 East Front Street in Scotch Plains.